Please complete the following fields to receive bids for Acura parts! Acura is a luxury line of cars and SUVs made by Honda. While the engines aren’t really any different than other Honda engines, the luxury standard calls for the best and most powerful the manufacturer can provide. Acura engines come in both four and six cylinders, though a few have five or eight cylinders. We have an extensive team of automotive recycling centers and brokers that are ready to help you find the used Acura engine or Acura transmissions you are looking for. Salvage engines can help you save time & money over buying a rebuilt motor. Instead of spending hours searching salvage yards for used Acura engines, we will send your request to brokers and salvage yards nationwide to compete for your business. It won’t matter if you drive an Integra, Legend or TL, these engine brokers are able to locate used Acura engines for sale. Start getting quotes for used Acura engines quickly when you complete the form above and submit it to ASAP Motors. Within minutes we’ll start connecting you with a network of reputable sellers. Our engine locator tool is now completely free with no obligation to the site or the suppliers you make contact with. Once you submit your used Acura engine request, all you need to do is sit back watch the information and quotes come to your inbox. If on our form you filled out the phone number box, your phone will start to ring with offers. Take your time while reviewing the information you receive. Suppliers will offer you different warranties, shipping terms and pricing on the used Acura motor you requested. After you make contact with several of the companies, place your order but make sure they accept credit cards or PayPal. This insures that you are protected in case of an issue. If your car is at a shop, request it be shipped to that address instead of your home. Whether you’re in the market for a R-series, i-VTEC engine or a J-series MDX Sport Hybrid engine, we have what you need when it comes to used Acura engines. Because Acura vehicles use Honda engines, they are considered relatively reliable. Some drivers enjoy their Acura engines for well over 200,000 miles. Of course, like with any engine, proper care and maintenance are musts if you want the vehicle to last a long time. Since ASAP Motors offers Acura engines going back into the 1980s, you have a range of options to choose from. You can find detailed information on used Acura engines below. The Acura RSX is a performance car that was sold in North America by this name and was known as the Honda Integra DC5 for the Japanese market…. These are a few of the questions that Acura drivers commonly ask when considering a used Acura engine for their vehicle. Q: Are Acura and Honda engines the same? A: Acura is Honda’s luxury brand, so technically, Acura engines are Honda engines. Because Acura vehicles are top of the line, they have the best of the best when it comes to engines. It may be possible to use more common Honda engines in your Acura, but this is something you’ll want to consider carefully and discuss with your mechanic. Q: How much does a used Acura engine cost? A: Depending on the make and year of your Acura, prices can range from $300 to $2500. Q: Will the used Acura engine have all of its parts? A: This depends on the specific engine you need and the particular seller you work with. We encourage you to ask lots of questions when considering a used engine, and included parts should definitely be one of them. From cylinder sleeves to spark plugs to the connecting rod, you’ll want to have a checklist of the parts you need and ensure that they’re included. Understand that warranties come from individual sellers, not ASAP Motors. Q: Do I need to worry about excessive engine oil consumption with used Acura engines? A: It’s true that the V6 engines of recent Acura generations are thought to burn through excessive amounts of oil. The reasons for this could include driver habits, clogged oil control rings and driver expectations versus how modern engines work. Tests are available for testing oil consumption, so it might be wise to explore such options with your seller and/or your mechanic. What should I know about Acura MDX engine mounts? Many owners have reported needing their Hyundai MDX engine mounts replaced between 40,000 and 80,000 miles. This could cost hundreds of dollars to fix. If you are in the market for a new Acura MDX engine, first ensure that your engine mount is in good shape and prepared to support an engine. Symptoms of a failing motor mount may include noises from the engine bay and excessive vibrations. The Acura TL is a mid-size sedan with a six-cylinder engine. 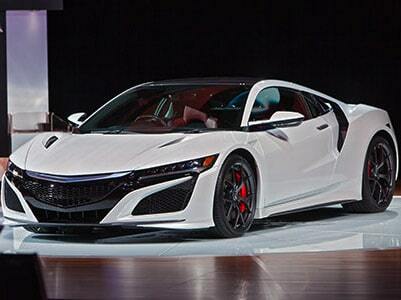 It is considered an entry-level luxury car and has been one of Acura’s best-selling models. Due to trouble during the Great Recession and some issues with styling, the TL stopped production in 2014. The Acura Legend was sold as both a coupe and a sedan from the mid-1980s into the mid-1990s. At the beginning of its run it was considered the premier luxury vehicle, and by the end it was available with a unique interior and customizations that aren’t available with any other Acura. The Acura RSX was originally a Honda model, and contains a regular Honda engine. The RSX was only produced from 2001 to 2006, but it was a performance vehicle that got love from enthusiasts for being easy to tune. Notes: Looking for a 3.7l Acura MDX engine.